May brings with it mellow sunshine, bank holidays, and happenings by the bucket load. Discover our diary round-up here for the best events, activities and things to do in Cornwall – from art, dancing and dining to literature, tipples on tap and one of our favourite Falmouth festivals. 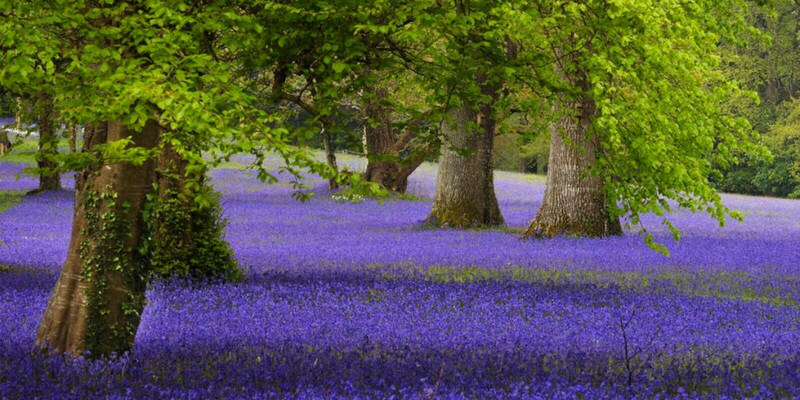 Visit Enys Garden near Penryn to see their famous bluebell meadow – a sure sign that spring is finally here! Tuck into a tasty cream tea in the garden cafe then stroll the ponds and woodland areas. The gardens are open from 11am to 5pm every day throughout the month. It’s not unusual to see many Padstonians from all over the world return to the seaside town of Padstow. Locals spend the night before decorating the town’s street with flags, flowers and greenery complete with a maypole. Crowds parade dressed in white with their costumes decorated with ribbons and wildflowers, dancing their way down the town to the sound of musicians and drummers. 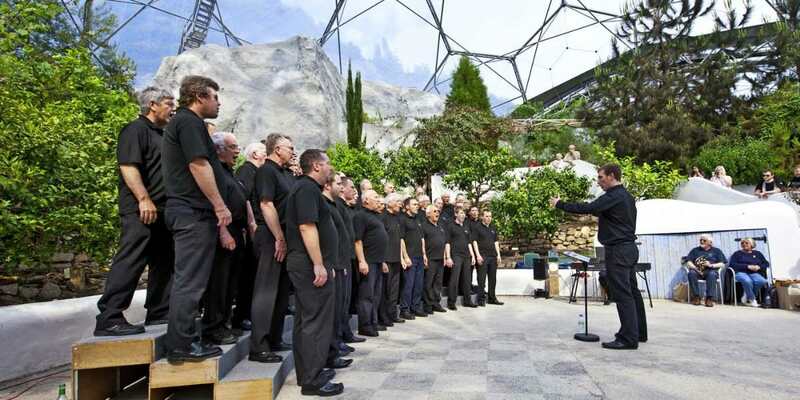 From across the globe, male choirs from all ages descend on Cornwall for what is now the largest event of its kind in the world. 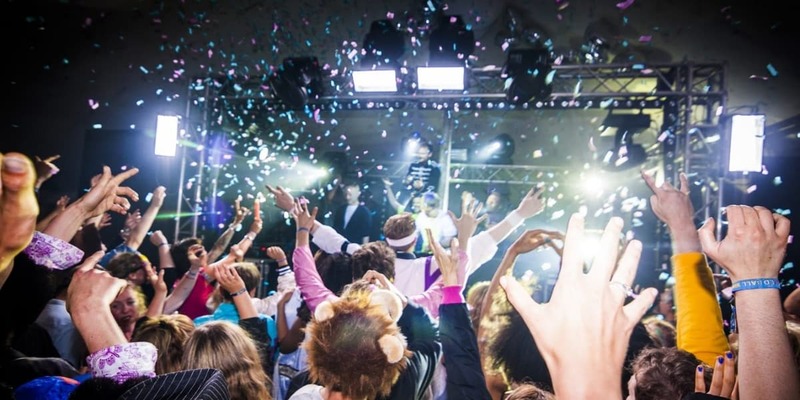 Join in on the celebrations by visiting over 50 concerts placed over 40 venues around Cornwall. 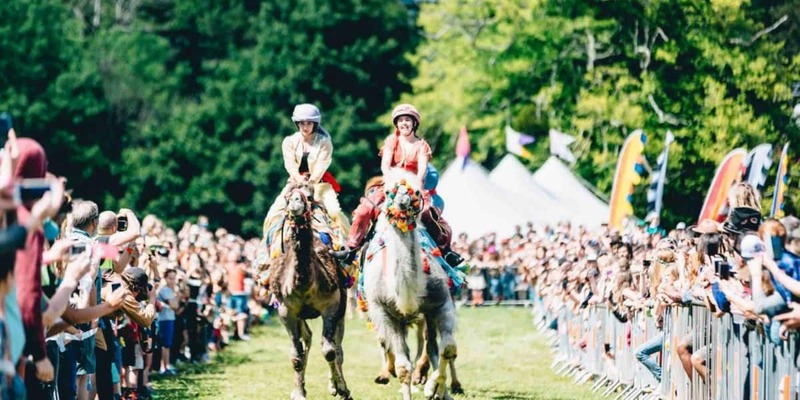 The spectacular themed event in Cornwall is back and bigger than ever. Perched on the cliffs at Beacon Crag, this festival has become renowned for their artistic creativity and imaginative site layouts. Recently, it has been labelled as one of the best festivals in the world by Conde Naste Traveller. 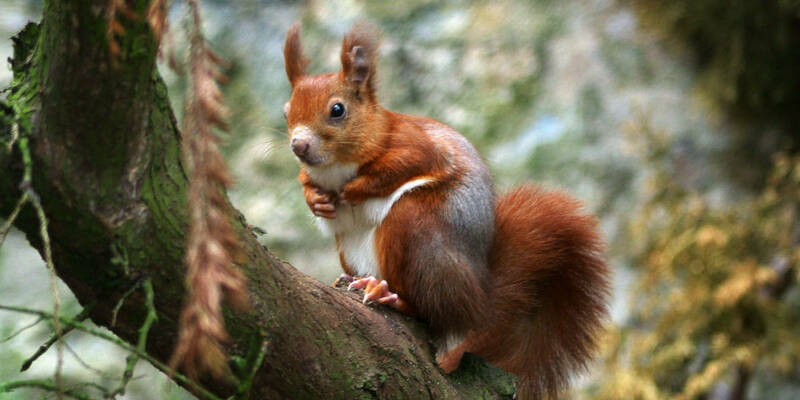 Over the bank holiday weekend in May, pop into Paradise Park to get a look at the endangered red squirrel. Learn about what makes them unique, who shares their habitat and the Park’s role in breeding them for reintroduction into the wild. 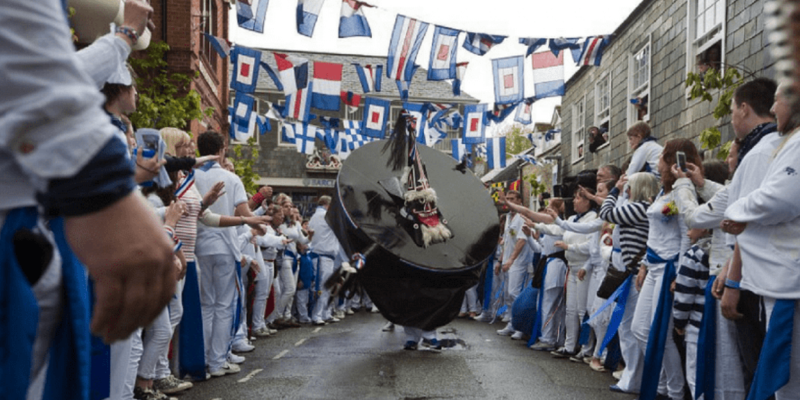 Helston Flora Day is a celebration of summer with a colour celebration that involves the entire town. Decked out with bluebells, gorse and laurel leaves, dancing begins at 7am. 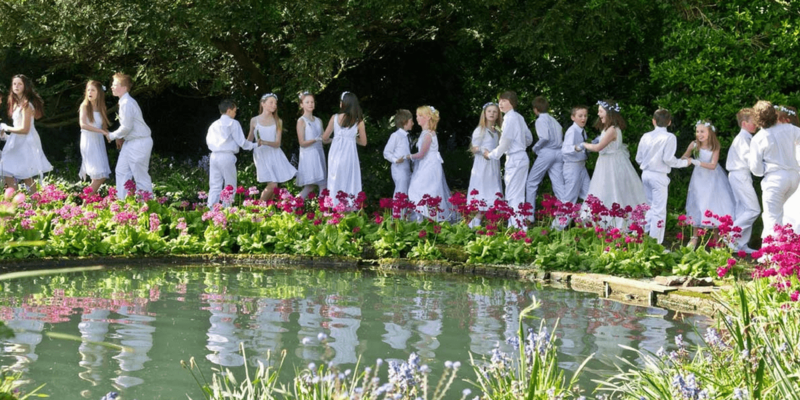 The day continues with the children of the town dancing down the streets at 10am wearing flowers and white attire. The formal dance is at midday with men wearing fine morning dress and women wearing their beautiful ball gowns and hats. Expect many stalls full of local souvenirs, Cornish crafts and food, as well as a big fairground. 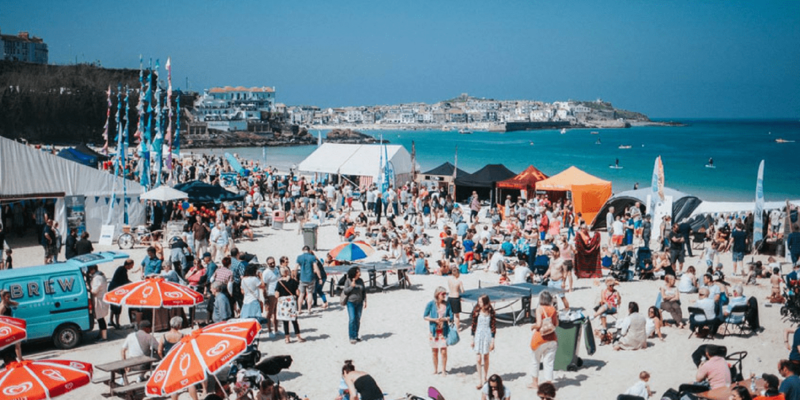 Taking place on Porthminster Beach, this festival promises culinary experts, attractions and a wide variety of local beverages and food. From wine, beer and cider producers, to chocolate and cheese makers, and fruit and vegetable growers thrown in for good measure, the food market is sure to delight all taste buds! This literary festival will feature a diverse range of speakers, musicians, authors and artists. 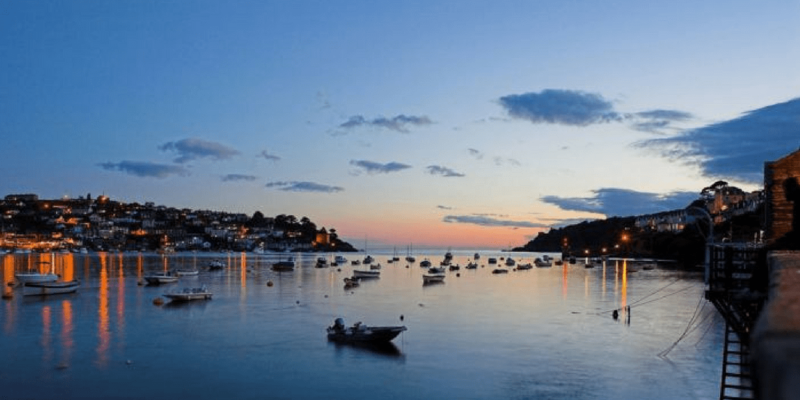 Staged in the beautiful riverside town, which was once home to Daphne du Maurier and Sir Arthur Quiller-Couch, the event promises an impressive line-up of literary and musical talent. This year folk superstars, Seth Lakeman and Show of Hands will be performing seperate concerts in the Parish Church. Join in at this non-competitive cycle ride through the incredible scenery of Cornwall. Riders have the unique opportunity to pedal the length of Eden, past the world-famous biomes before they start their challenging journey. Choose between three distances, depending on the level of experience and fitness. Riders are invited to stop and refuel in iconic locations such as The Lost Gardens of Heligan, where friends and family can gather in support before exploring the renowned visitor attraction for free. Now in its 15th year, artists, craftsmen and designers will open their studios and workshops to the public. Grab a guide, create your very own art trail, discover hidden corners of the county and explore unusual studio spaces from remote cottages and chapels to beachside galleries and historic buildings. 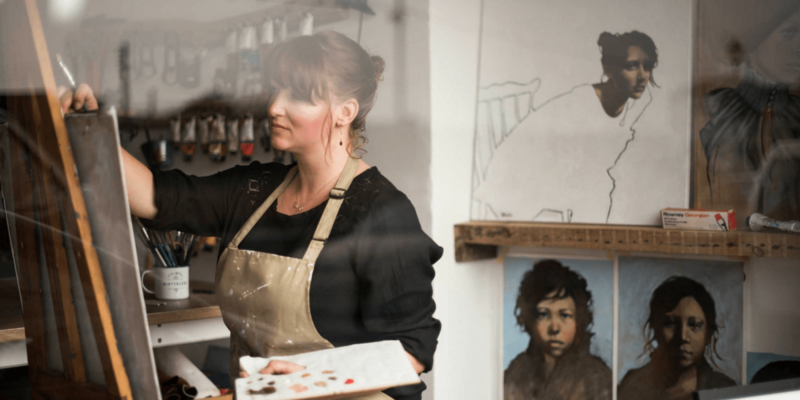 The Open Studios is the perfect opportunity to meet the creators behind the masterpieces including sculpture, glasswork, ceramic, painting and textiles. Sponsored by our friends at Harbour Brewing Co., we’ll be bringing you a bank holiday blast full of brews! 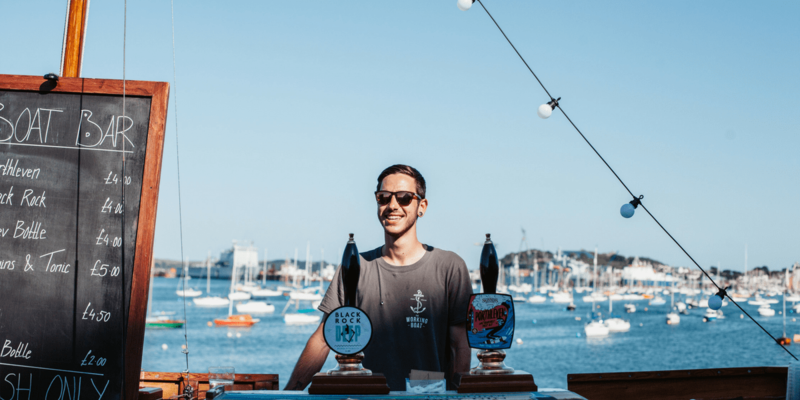 Head to The Working Boat for our second annual Falmouth beer festival, from midday until late every day. Find your new favourite pint, thanks to barrelfuls of guest ales, local ciders and craft beers from Harbour and other local breweries. 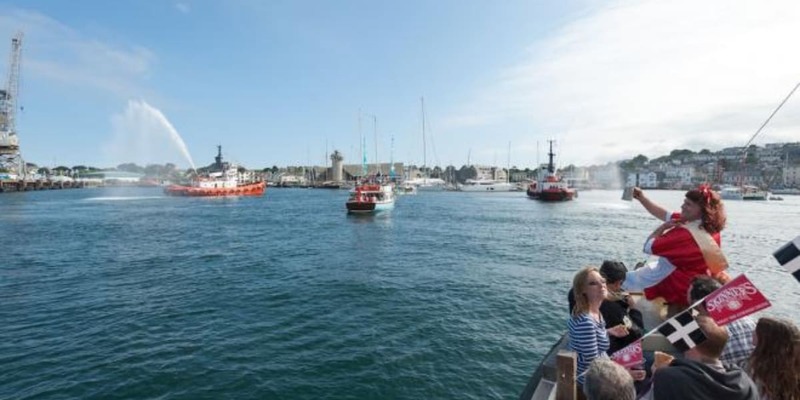 Moor up on our pontoons, sit yourself in our beer garden, and admire our ever-changing views across Falmouth harbour. It’s time to celebrate food, wellness, music and adventure in Cornwall. This May will see the inception of a brand new three-day event, which will showcase the finest elements of Cornwall. With a focus on the great outdoors, food, music and wellbeing, the festival will include talks, workshops, feasts, classes and family activities. 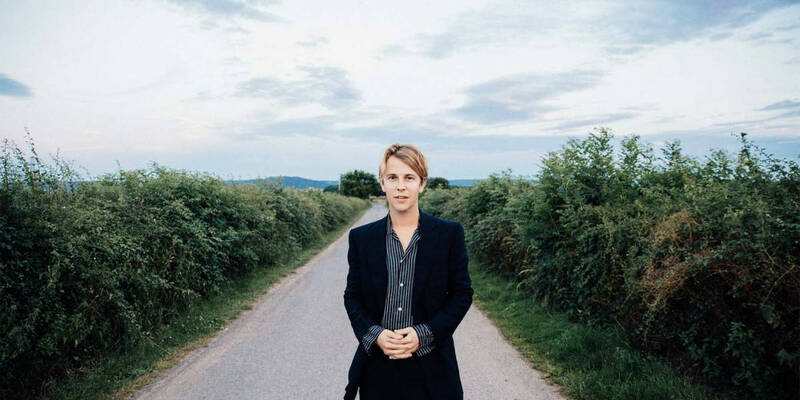 Headline acts include Tom Odell, Villagers, Songhoy Blues and Gilles Peterson, with food from Tomos Parry of Michelin-starred restaurant Brat and author and cook Anna Jones. A 10 day celebration with over 100 events showcasing creative talent from the worlds of art, food, film, adventure, theatre and more! Embrace the places, people, history and culture that are connected by this beautiful Cornish river. As a not-for-profit community festival, this fun bash encompasses everything from music and drama, to gig racing, swimming, walking and fishing workshops from our quay. 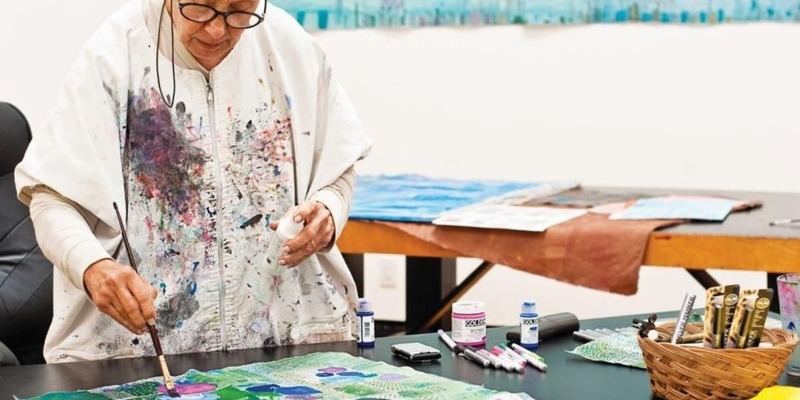 The first UK museum solo exhibition for Lebanese artist Huguette Caland offers figuration and abstraction, large colourful canvasses and detailed drawings from the 1970s and 1980s. Explore the delicate balance between the suggestive and the explicit that Caland created in her works. The female physique is a recurrent motif in her work, often painted like landscapes with voids and mountain-like forms. The first Gin Club evening of 2019 held by The Greenbank will be hosted by the lovely folk from Tarquin’s Gin. 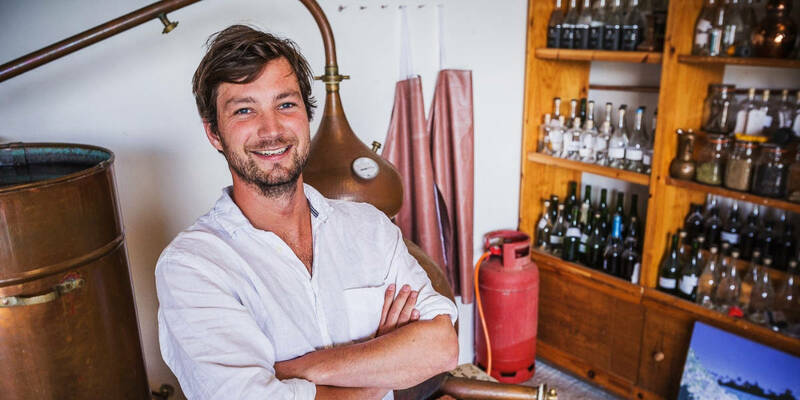 The team will be talking about the Tarquin’s distillery based on the north Cornish coast. Meanwhile, try samples of their award-winning products and sink into a G&T, served on arrival. They’ll also be shaking and stirring two homemade gin cocktails, providing a selection of moreish nibbles, as well as mini fish and chips and a mini dessert for you to tuck into. Must be pre-booked by calling reception on 01326 312 440. Hosting a medley of national and international musicians, unforgettable comedians, head-turning performers and inspirational speakers, The Great Estate has swiftly become one of Cornwall’s most talked about events. Returning to the prestigious grounds of Scorrier House for three days, expect weird and wonderful happenings at this lively garden fete. LOOKING FOR A may GETAWAY? Call our team 01326 312440 for our best available rates or click here for up to 20% off stays.